[164 Pages Report] The global care management market was valued at USD 7.99 billion in 2017 and is projected to reach USD 19.28 billion by 2023, at a CAGR of 16.1% during the forecast period. Base year considered for the report is 2017 and the forecast period is 2018–2023. The major players in the care management solutions market include EXL Service Holdings, Inc. (US), Casenet, LLC (US), Medecision Inc. (US), ZeOmega Inc. (US), Cognizant Technology Solutions (US), Cerner Corporation (US), Allscripts Healthcare Solutions, Inc. (US), and TCS Healthcare Technologies (US). 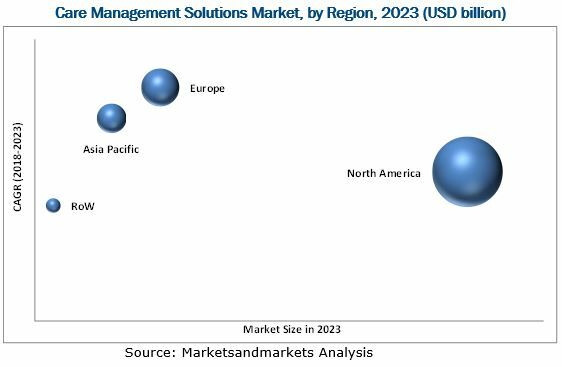 The global care management solutions market is projected to reach USD 19.28 billion by 2023 from USD 9.15 billion in 2018, at a CAGR of 16.1% during the forecast period. The key factors driving the growth of this market are the implementation of initiatives to shift the burden of risk from healthcare payers to providers, government initiatives and regulations promoting patient-centric care, initiatives to promote healthcare IT, rising geriatric population, and need to reduce healthcare costs are driving the growth of the care management solutions market. 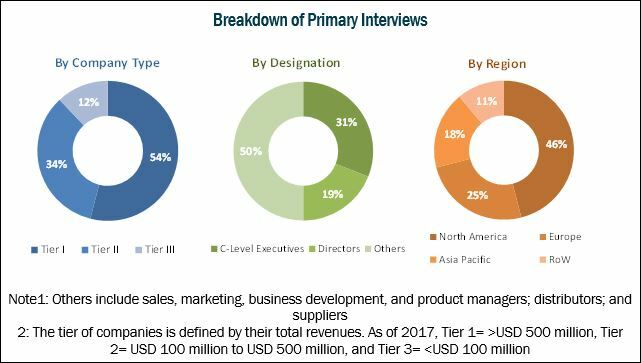 On the basis of application, the global care management solutions market is segmented into disease management, case management, utilization management, and other applications. The disease management solutions segment is expected to register the highest CAGR during the forecast period. The high growth in this segment can be attributed to the ability of these solutions to reduce the cost of care with the help of protocol management and prevent episodes of ill health through comprehensive health management. Based on delivery mode, the care management solutions market is segmented into on-premise and cloud-based delivery modes. The cloud-based segment is expected to grow at the highest CAGR during the forecast period. The high growth of this segment can be attributed to the advantages provided by the cloud-based solutions such as, low installation and maintenance costs, unlimited storage of information, easy access to information from any place, and reduced spam & web threats. The geographic segments in this report include North America, Europe, Asia, and the Rest of the World. Of these, the North American market is expected to account for the largest share of the market in 2018. The large share of North America can be attributed to the shift of the risk burden from healthcare payers to providers; patient-centric mandates; and the need to improve quality of care and curb healthcare costs in Canada. Additionally, several major global players are based in the US, which has made the country a center for innovation in the care management solutions market. Europe is expected to grow at the highest CAGR during the forecast period (2018–2023). The efforts made by the governments of European nations such as the UK, Germany, France, Italy, and Spain to promote care coordination and quality of healthcare and reforms to curb healthcare costs by integrating HCIT solutions into healthcare are driving the growth in the forecast period. However, the lack of interoperability, the high cost of deployment, and the increased instances of data breaches are some of the factors restraining the overall growth of this market. EXL Service Holdings, Inc. (US), Casenet, LLC (US), Medecision Inc. (US), ZeOmega Inc. (US), Cognizant Technology Solutions (US), Cerner Corporation (US), Allscripts Healthcare Solutions, Inc. (US), and TCS Healthcare Technologies (US), are the key players in the care management solutions market. Other players involved in this market are Koninklijke Philips N.V. (Netherlands), IBM Corporation (US), Health Catalyst Inc. (US), Harmony Information Systems, Inc. (US), Salesforce.com, Inc. (US), i2i Systems, Inc. (US), Pegasystems Inc. (US), and Epic Corporation Inc. (US).